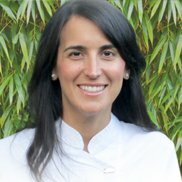 Dr Carmen Colomar qualified from Universitat de Barcelona in 2005 where she also completed successfully a Masters Degree in Occlusion and Oral Rehabilitation. In order to provide a more comprehensive restorative dentistry she studied a Postgraduate Degree in Periodontics at Universitat International de Catalunya. After four years dedicated to private general dentistry in Spain she moved to the UK. It was then when she developed special interest in Paediatric Dentistry. Dr Colomar has continued to extend her knowledge and skills with postgraduate courses and seminars, and she is a member of the British Society of Paediatric Dentistry.